Walmart seems to be using 2018 to assert itself in the home sphere. 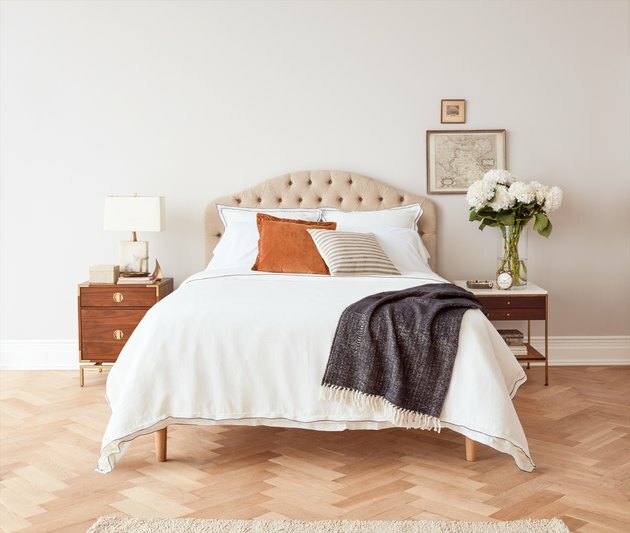 Just last week it launched a new editorial-style homepage for its home section, and today there's the announcement of its very own home brand — Allswell. Allswell doesn't live on Walmart.com, but rather has its own site, Allswellhome.com. It focuses on the bedroom — specifically, mattresses and bedding — and is available online only. What sets Allswell apart is that it's female run and marketed toward women. The king-size mattresses sold on the site are even called "supreme queen" rather than "king" to bring home their point. The Allswell shopping process is meant to be simple and carefree. It begins with picking a mattress, and there are just two options so you won't get overwhelmed: "The Firmer One," and "The Softer One." 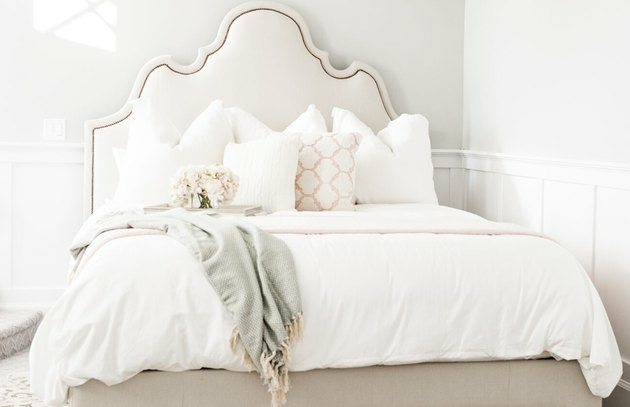 Next, there are four limited-edition bedding sets to pick from, and they've been curated by the following tastemakers: HGTV host Genevieve Gorder, Pink Peonies blogger and fashion designer Rachel Parcell, TLC interior designer Jeremiah Brent, and EyeSwoon blogger and entertaining expert Athena Calderone. Just pick one of the four sets, which include items such as mattress covers, pillows, duvet inserts, duvet covers, sheets, throws, coverlets, and decorative pillows. Then finally, you can click on your shopping cart to delete any items you don't want or need. The result is meant to look like you hired an interior designer, while really taking no more than a couple of clicks to create. Parcell's "Modern Glam" bedding set. Gorder's "Globally Inspired" bedding set. 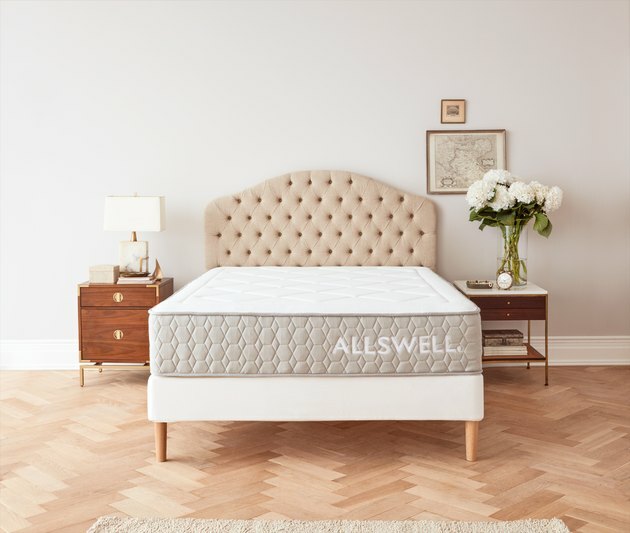 Allswell mattresses cost between $495 and $1,035 and ship in a box. 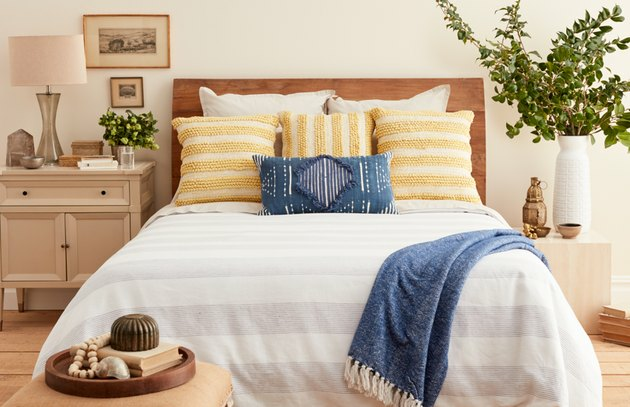 The bedding items range between $60 and $350. What makes the duvet inserts and pillows special is that they are temperature regulating and have a hypoallergenic fiber fill. So is this it, or does Walmart have even more home updates on the horizon? We'll be sure to let you know.